The affected area is home to 33 million residents, 27% of Mexico’s population, and generates more than 30% of its national GDP. At least 44 properties collapsed, with an additional 78 facing some damage or risk of collapsing. Thirty-five commercial properties are included in this total with Class B and C assets being the most affected. As many as 1,800 properties, mostly residential, are believed to be damaged. The majority of collapsed office buildings were in the Class B and C category. Less than 10% of Mexico City’s Class B & C office stock, suffered significant damage. Displaced tenants are looking for temporary, turnkey space, likely absorbing some of the 920,190 sq. m (9.8 million sq. ft.) of vacancy in the Class A leasing market. Buildings with conditioned or furnished space are receiving increasing demand from displaced Class B & C building occupiers. Significant industrial damage has not been widely reported. 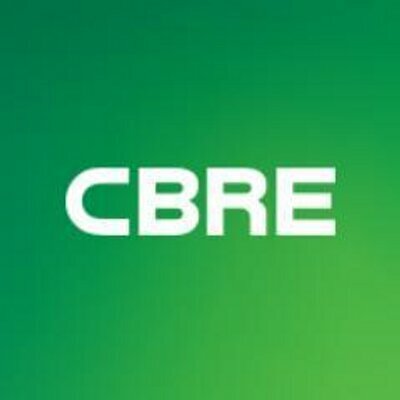 To date, CBRE has identified only a handful of industrial properties with substantial damage. As part of the recovery, a spike in demand for warehouse space is expected from building supply companies, disaster relief providers and consumer-goods distributors, which will further compress vacancy in the Mexico City metropolitan area. Neighborhood and community shopping centers in Taxqueña and Coapa, located in the southern section of Mexico City, reported the most impact. Street-level retail space in mixed-use buildings and residential buildings were also affected, especially in the Roma-Condesa submarket where as many as five buildings collapsed. Consumer goods and building supply retailers will see increased sales volume, which will supplement current growth in Mexico City retail activity, especially for home-improvement goods and grocery centers. Approximately 5% of the 52,000 hotel rooms in Mexico City reported some degree of damage and occupancy dropped significantly the week following the earthquake. Long-term, there will likely be no adverse impact to Mexico’s largest hotel base, which is primarily driven by business travelers. “While Mexico continues improving construction standards and codes, there are numerous properties that because of age, sediment, location or other challenges are structurally vulnerable to earthquakes. As many as 1,800 properties, mostly residential, are believed to be damaged. “Despite the devastating power of the earthquake, which displaced businesses and thousands of residents in one of the world’s most densely populated regions, damage to commercial real estate was relatively minor. Only a small amount of the overall stock of office space was impacted, with most of this damage limited to Class B and C properties. As a result, we expect to see a ‘flight to quality’ as demand increases for modern buildings that are considered structurally sound.